Mr. James “Ricky” Jackson, age 65, beloved husband to Mrs. Shirley Bodie Jackson, entered into rest on Monday, February 11th, 2019 at his residence with his family by his side. 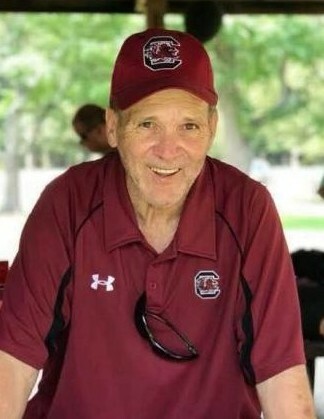 In addition to his wife, he is survived by his daughters, Melissa Ann (Deany) Mixon, Tonya Jackson (Benjamin) Miller, Rhonda (Eric) DeCosta, Anna Jackson (Harvey, Jr.) Stone; brothers, Donald (Sandra) Jackson, Michael David (Cheryl) Jackson; sister, Sharon Jackson; twenty-one grandchildren and seventeen great grandchildren. He is preceded in death by his parents, Fletcher and Annie Ruth Jackson; and brother, Roger Jackson. Mr. Jackson was a member of the Aiken County Pool League and attended the Warrenville Church of God, as he was of the Pentecostal faith. A funeral service celebrating his life will be held on Thursday, February 14th, 2019, at 2pm, at the Warrenville Church of God, with Rev. Robert Skelton officiating. The interment will immediately follow at Aiken Memorial Gardens. The family will receive friends on Wednesday evening, February 13th, 2019 from 6-8pm at the funeral home.